Bangkok (VNA/NNT) - The Thai Retailers Association will organise the RetailEx ASEAN 2017 - ASEAN's fastest growing retail trends and solutions trade exhibition in Bangkok from September 14-16. Highlights of the event will include the presentation of retail store concepts in the future. 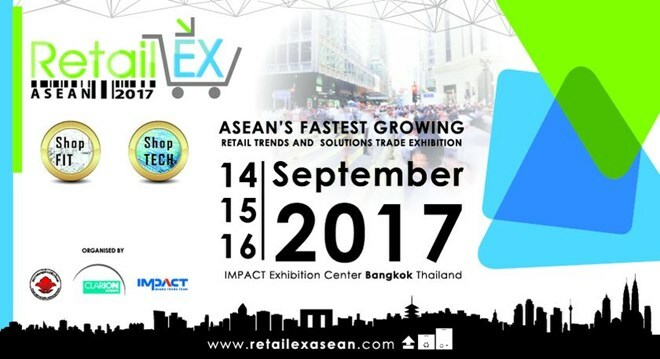 The RetailEx ASEAN 2017, which enters its third consecutive year, is a collaboration between the Thai Retailers Association and Impact Exhibition Management Co., Ltd. It will showcase outstanding designs of retail stores, technology for the retail business and e-commerce. There will also be free training on e-commerce from digital experts at the ASEAN level, business management and growth of organisations.